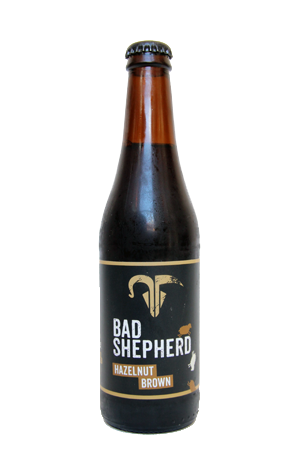 Bad Shepherd's Hazelnut Brown is a beer worthy of the tag luscious. It's not surprising when you consider that it's a brown ale that's loaded up with hazelnuts, hazelnut extract, vanilla and a splash of Frangelico for good measure. It pours a lovely clear mahogany colour, with the impact of the chocolate malts and hazelnut additions hugely apparent on the nose. Yet, while they're there in abundance to taste too and there's a creamy, nutty perfume that lingers long, the beer wraps up remarkably dry and toasty, with a woody, earthy bitterness to boot.